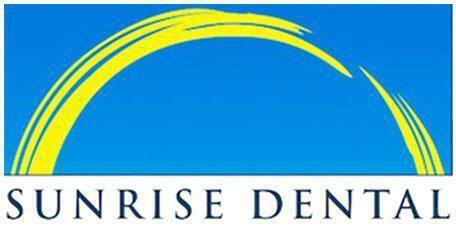 Dr. Gary Chin and the team at Sunrise Dental of Everett provide dentures to patients who have lost all or some of their teeth. Patients from in and around Everett, Washington, can make appointments to determine if dentures are the best solution for their needs. Dentures are removable, artificial replacement teeth. They help to protect a patient’s dental health and to restore his or her smile and confidence. There are two main types of dentures: full and partial. With patients who are missing only some teeth, partials are used to fill in the gaps. When patients need to have all of their teeth removed, a full denture restores their smile. Most patients get used to wearing their dentures within about two weeks, but some patients may take a little longer. Initially, patients will wear dentures for a certain period of time each day to allow their gums to become used to the sensations and pressures associated with denture wear. For the best adjustment experience, patients should closely follow the instructions provided by their dentist during the breaking-in period to avoid developing sore spots that can interfere with eating, speaking, and general comfort. Reading aloud and singing can also help patients get used to speaking with their dentures in place. Whether a patient is fitted with a partial or a full denture, the dentures require proper care to maintain their appearance as well as overall oral health. There are a number of steps to follow for quality care of dentures. First, dentures should be removed and rinsed after eating. The mouth should also be cleaned at this time by gently brushing the gums. The dentures themselves should also be brushed at least once a day and removed and soaked overnight, then rinsed before being put back into the mouth. Special cleaning materials are available, and abrasive cleansers such as whitening toothpaste and bleaching products should be avoided. Dental check-ups are still necessary to monitor the health of the gums and soft tissue of the mouth. Dentures should always be handled carefully and stored in the appropriate container.